Anybody who was hoping to get a much clearer picture about this year's launch of Ultra HD (UHD) Blu-ray hardware and software at CES early this month must have walked away, like me, at least a little disappointed. After all, only two hardware makers--Samsung and Philips--provided much information about their initial UHD 4K Blu-ray players. (See our CES 2016 Show Report.) Those first players, the Samsung UBD-K8500 and Philips BDP7501, will each ship in March. Pricing wasn't provided in Samsung's news release issued during the show, but the company listed the suggested retail price as $499.99 at its U.S. e-commerce website. Samsung, however, started taking pre-orders at $399.99. The company didn't immediately respond to a request for comment on when that $100 discount will be offered until. The Philips player is also expected to cost $399.99. Other hardware makers that, like Samsung and Philips, are members of the UHD Alliance (UHDA) provided much sketchier details on their UHD Blu-ray player plans. Panasonic shipped the DMR-UBZ1 UHD Blu-ray player in Japan this past fall at a whopping 400,000 yen (about $3,400). At CES, the company said its initial UHD Blu-ray player for the U.S. will be the DMP-UB900, but it didn't say when that player will ship or how much it will cost. Panasonic also declined, after CES, to say whether the U.S. model will be cheaper than the Japanese player. LG Electronics and Sony Electronics, meanwhile, made no announcements at CES about UHD Blu-ray players. After CES, neither of them would even commit to shipping one in 2016. LG "will continue to monitor market demand for a player as the year goes on" but, "in the meantime, we offer many other options for consumers to view UHD content via multiple content partnerships on our webOS Smart TV platform," Tim Alessi, director of new product development at LG Electronics USA, said by email. 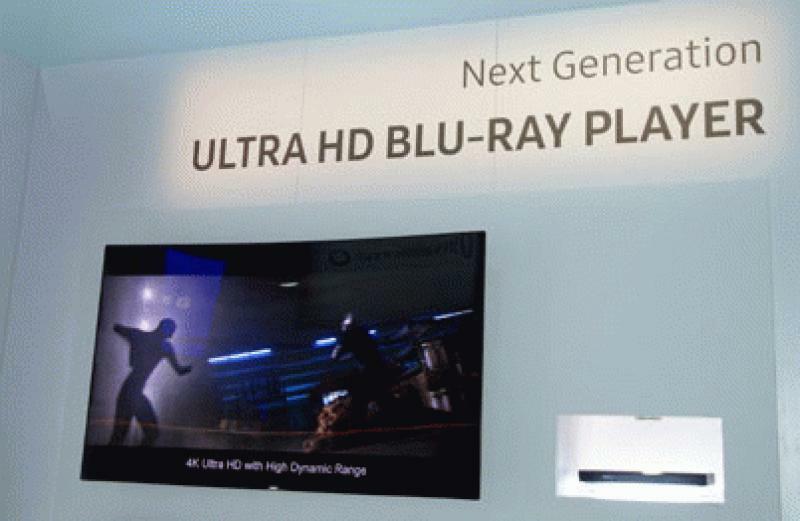 Sony Electronics, however, provided no details about any UHD Blu-ray plans at its CES news briefing. It said only that ULTRA, a new SPHE app launching in the U.S. this year, will allow Bravia TV owners to buy and stream 4K HDR movies and TV shows, including new and classic titles from the Sony Pictures 4K digital library. Asked about Sony Electronics' UHD Blu-ray player plans after CES, a Sony spokesman said only that the company "has not announced a 4K UHD Blu-ray player" and "we have no comment on possible future products." Possible future products? Ouch. Sony Electronics, it seemed, "went out of their way" at CES to not say anything about a UHD Blu-ray player, said Alan Guyes, principal and home AV buyer at retailer Audiotronics, which has stores in Blacksburg and Roanoke, Virginia. "It was a real shocker" that the company had no announcement about a UHD Blu-ray player at the show, he said. "What was really striking about it" was that although there was no Sony UHD Blu-ray player announcement, the manufacturer bowed a high-end, high-resolution turntable that will ship this spring, he said. "Think about the irony of that announcement," he said. "Go figure." Still, Guyes agreed with me that it seems unlikely that Sony Electronics won't, at some point down the road, announce a UHD Blu-ray player. Maybe the company is waiting to see how well the Samsung and Philips players perform before it makes a move. Would Sony Electronics really not do whatever it can to back its sister company, SPHE, with the new format launch? Probably not, but one can never be certain. After all, the companies haven't always been on the same page in the past. For just one example, look at Sony Computer Entertainment's decision to not initially include 3D support in the Playstation 4, despite Sony Electronics continuing to include 3D as a feature on its TVs and Sony Pictures and SPHE continuing to support 3D in movies. Of course, hardware is only half the story, and questions also remained unanswered about UHD Blu-ray discs after CES. Although SPHE, 20th Century Fox Home Entertainment, Universal Studios Home Entertainment (USHE), and Warner Bros. Entertainment all said before CES that they will release movies in the format, none of them had announced pricing plans, and they didn't provide that information during the UHDA news briefing or after CES. Disney--the only other Hollywood studio that's a UHDA board member--didn't have a representative at the briefing and didn't immediately respond to a request for comment about its plans for the format. Amazon.com, however, has listed pricing for upcoming UHD Blu-ray movies that is all over the map, including sale prices of $20.69, $29.99, $32.39, and $38.69, with suggested retail pricing ranging from $22.99 to $42.99. At least 100 titles will be available in UHD Blu-ray from all Hollywood studios combined by the end of 2016, Fox Home Entertainment Worldwide President Mike Dunn predicted during the UHDA news briefing. Fox alone will release 30 to 35 UHD Blu-ray titles by the end of 2016, he later told HomeTheaterReview.com. His company had said prior to CES that its initial UHD Blu-ray releases will include Kingsman: The Secret Service, Exodus: Gods and Kings, Fantastic Four, X-Men: Days of Future Past, Life of Pi, The Maze Runner, and Wild. One software issue that remained murky after CES was how many, if any, of the initial UHD Blu-ray movies will come packaged with a 3D version in the older Blu-ray format, although both Dunn and Ron Sanders, Warner Bros. Entertainment president-Worldwide Home Entertainment Distribution, told HomeTheaterReview.com that their companies intend to include a Blu-ray version of each movie with the UHD Blu-ray releases. That will be the case "for the foreseeable future" said Sanders, adding that including a Blu-ray and UHD-Blu ray version of each title will make consumers' purchases "future-proof." Fox and Warner, however, don't intend to also include a DVD version of each movie in the same package, as is standard industry practice with Blu-ray movies now, said Dunn and Sanders. It's expected that most of the consumers interested in buying a movie in the UHD Blu-ray format will be stepping up from Blu-ray, not DVD, and therefore won't need a DVD copy, they said. Fox plans to continue releasing Blu-ray movies in 3D if they have been released theatrically in 3D, Dunn told us. However, he didn't specify if any of the initial Fox UHD Blu-ray releases will come with a 3D Blu-ray version. Sanders said he wasn't sure yet if any of Warner's initial titles would be packaged with a 3D Blu-ray version, telling us his company would continue to support 3D Blu-ray as long as retailers continued to support it. There was, of course, one question about UHD Blu-ray that couldn't be answered at CES: how much consumer interest will there be? Sure, the studios expressed confidence at the UHDA news briefing about the format's chances for success. UHD Blu-ray should have "broader appeal than 3D" for one thing, said Michael Bonner, USHE executive vice president-digital distribution. The appeal of 3D was more limited, in part due to the need for viewers to wear glasses, said SPHE's Singh. But it remains to be seen how many consumers will be willing to embrace yet another new optical format, especially when a player costs $400. That's about $300 more than the average Blu-ray player now. It's also not clear how quickly pricing will come down on the hardware and if the studios will deliver on their promise of a huge and growing slate of titles. "I think it's going to have minimal impact" on the sales of 4K TVs, said Guyes at Audiotronics regarding UHD Blu-ray. Retailers already have to explain to consumers that there are ways for consumers to access native 4K content despite the lack of broadcast 4K, he said. There's already 4K movies available via streaming from services including Netflix, he said. Ultra HD Blu-ray is "just another piece of that puzzle," he said. Audiotronics will carry Samsung's UHD Blu-ray player (shown, right), said Guyes. But "the jury is still out on what sell-through will be," he said. Now that UHD TV pricing has declined so much and consumers can buy good models "well below the $1,000 price point, it's going to be a tough sell" for a UHD Blu-ray player that's close to the price of a good 4K TV, he said. "I think $299 has a little more appeal." But if Samsung is going to mainly target customers buying higher-end 4K TVs, that will be an easier sale, he said. The arrival of Samsung's UHD Blu-ray player "will have some impact" on sales of 4K TVs that should be positive, said a somewhat more optimistic Abe Yazdian, vice president of merchandising and treasurer at retailer Electronic Express, which has 16 locations in Tennessee and another store in Decatur, Alabama. By June, there will probably be more manufacturers shipping UHD Blu-ray players and that should provide an additional sales "spike," he said. "It gives the customer peace of mind there's content out there" to be played on a 4K TV, in addition to Netflix streaming and the 4K cameras and camcorders already available that consumers can use for home videos, he said. The first Toshiba DVD player was very expensive, but some consumers still bought it, said Yazdian. There will be an "initial surge" of those consumers who are willing to spend $400 for a UHD Blu-ray player, he predicted. "Time will tell," however, if Samsung opts to offer promotions including instant rebates or bundles with TVs, he said. Some consumers, however, will (at least initially) be comfortable to just stick with streaming 4K content until Ultra HD Blu-ray players become more affordable, he said. However, Sony Electronics's decision to not announce a UHD Blu-ray player at CES suggested that the company may believe, like Apple, that "the optical disc is essentially dead and it is a streaming world," said Guyes. Until broadband becomes available to all U.S. consumers, however, that remains unlikely. There also remains a significant number of people--especially older ones (like yours truly--who generally prefer optical discs to streaming. I would much rather get a Blu-ray version of one of my favorite movies that's packed with a booklet and loads of extra features than stream or download the same movie without all the bells and whistles. That's especially the case when the movie is given as a gift. I don't know about you, but I would much rather receive a wrapped movie on Blu-ray for my birthday than a tiny wrapped download card for iTunes (not that I'd turn down the latter, mind you). We'll report more details of the UHD Blu-ray launch as they become available. In the meantime, how many of you plan to buy a Samsung, Philips, or other UHD Blu-ray player this year? Do you think the price point of the players and discs is too high, too low, or right on the mark? Let us know in the Comments section below. • Six AV Trends We're Thankful For at HomeTheaterReview.com. • What 4K Content Can You Enjoy Right Now? at HomeTheaterReview.com.